THE latest accounts for Octaviar Administration (OA) show that Bill Fletcher and Kate Barnett earned almost $370,000.00 in fees in the past six months, taking total remuneration since they were appointed to $23.125 million. The Bentleys’ pair were installed as liquidators of OA and Octaviar Limited (OL) in September 2009 after the Public Trustee of Queensland, acting on behalf of creditors, removed Deloitte’s John Greig and Nicholas Harwood. By December 2012, Fletcher and Barnett had generated $15.7 million in fees on the OA side. Since then they’ve charged an additional $7.425 million for doling out dividends and, until this year, flinging cash from OA’s bulging treasury accounts at a range of litigious stratagems. However with the liquidation of OA and OL forecast to end in June 2016 it appears that they’ve drawn a line under the legal actions, including their costly pursuit of US finance house Fortress Credit Corporation. In May this year – at around the time that OL’s special purpose liquidator reached a $12.35 million settlement with Fortress – Fletcher and Barnett settled their disputes. Though the precise terms have yet to be prised out, SiN understands OA’s settlement required payment of Fortress’s legal costs. In this respect a reference in the accounts to $2.35 million paid to the trust account of Fortress’s solicitors, Baker & McKenzie, may be instructive. Fortress held a fixed charge over OL’s assets at the date of the former property group’s collapse and has resisted the liquidators’ voidable transaction claims from the beginning. But the NY-based hedge fund wasn’t the only party pursued. David Anderson, Octaviar’s former chief financial officer, also appears to have engineered a cessation of legal proceedings in a settlement with the liquidators that will see his $154,000 in legal fees also paid out of OA’s coffers. Fletcher and Barnett’s fees for the six months to September are more than double the previous period, in which they billed $179,901.00. Expenses were also up sharply, from $24,155.00 to $38,634.00. The $2.709 million paid to their legal advisers Henry Davis York was positively modest beside the $4.5 million-odd HDY billed in the previous six month period. OA’s cash at bank stands at around $54 million. 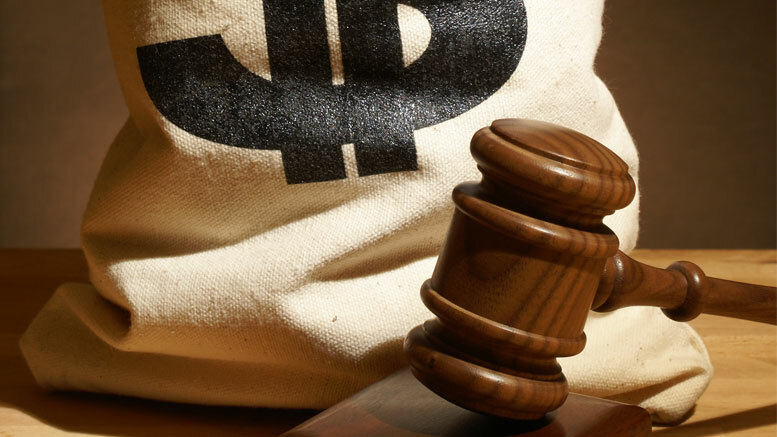 Unsecured creditor claims sit at $1.6 billion approximately. Around $58 million has been returned to unsecured creditors. On the OL side, receipts totalled $248,730.00 for the six months to September. Fletcher and Barnett billed zero for the period though total remuneration since their appointment sits at $1.027 million. They also paid David Kerr of RSM Bird Cameron $1.5 million for his tenure as special purpose liquidator of OL. References to two costs orders – one for $480,000 to Grant Samuel Corporate Finance and $340,000 to JP Morgan – represent the conclusion of the “antecedent transactions” litigation. OL unsecured creditor claims are estimated at $2.5 billion. PPB’s Steve Parbery, who ceased to act as OL receiver manager on June 2, 2015, billed $23,014 for this final period, taking total remuneration since his appointment in September 2008 to $668,682.00. Be the first to comment on "Fees continue to flow for Octaviar’s appointees and advisors"